If you’ve recently thought about investing in real estate to either round out your retirement portfolio or simply earn some extra cash, you’ve chosen a potentially great way to make extra money. Your monthly rental income can produce healthy personal cash flow and your property could appreciate in value over time. However, no investing strategy is as easy as it sounds, and if you’re just getting into the real estate game there may be a bit of a learning curve. Here are seven property-savvy strategies to get you started. Real estate investing does not fall under one umbrella. You can invest in residential, commercial, or industrial property, and there are also real estate investment trusts (REITS), and other types of investments to consider. Take a look at them all to understand which is the right fit for your goals. Oftentimes your ability to access financing in order to invest in real estate depends upon your credit score. You can review yours for free through websites like Credit Karma and Quizzle. 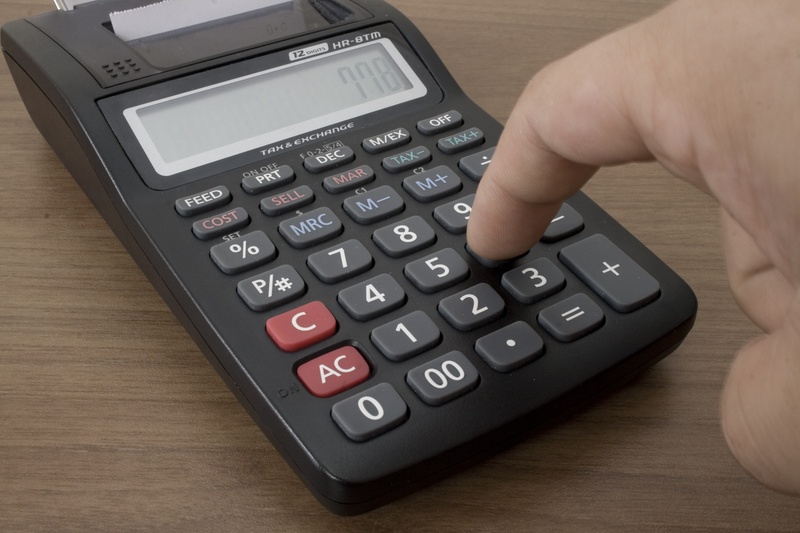 If your score is low, work immediately on bringing it up by paying your monthly bills on time, lowering your credit card balances, and not opening up too many new lines of credit before you’re ready to sign on the dotted line. As with any other investment, the real estate market can go south virtually anytime. Even though things seem strong at the moment, we could face a downturn similar to what took place in 2008 and 2009. Acknowledge that the time may come when you need to cut your losses, and be ready to make a sale whenever the need arises. As a beginner, you should research online whenever possible and also reach out to local real estate investors who can give you more personalized advice and tips. One of the best ways is to use a website like Meetup, which often lists local gatherings of real estate investors. Pick their brains for any questions you might have, along with other pointers they can provide. Tom Stewart writes about credit and debt, real estate, and the ins and outs of personal finance. 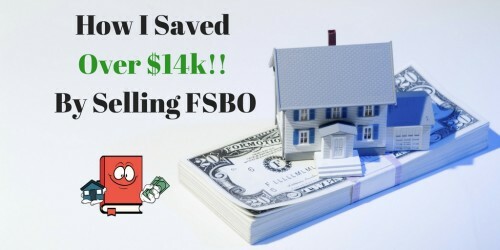 Previous Article← How I Saved Over $14,000 Selling My House via For Sale By Owner – NO REALTORS! Thanks for sharing this post. I definitely plan to add real estate to my portfolio in the future at some point. I find your posts about real estate investing informative; yet it was good to take a step back and give general tips for beginners. Out of curiosity do you find that condos can be a good source of income? Also, do you consider investing into REITS? Thanks bud!! It would be great to add a little real estate to your portfolio. Its good to diversify if you are all in on stocks now. 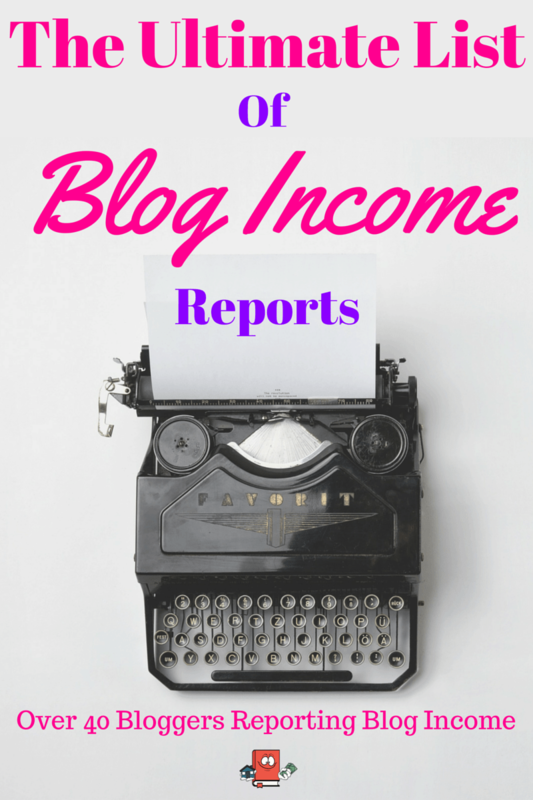 I think condos can be a good source of income if the numbers are right! Condos are little bit harder though because the condo fees are known for taking that ROI!! Ive also always wanted to invest in REITs and I think its a great way to get your feet wet. Great points here – especially about the emotional attachment! Folks need to remember this is likely not their home if they are buying it for an investment. I started with a small single family foreclosure for $44K. I’ve owned it for 23 years and the renters have paid it off twice. We own 10 units now – but it is important to know what you are doing before you scale. True words spoken indeed! That sounds like amazing returns you have on that first rental you bought. Kuddos to you!! 10 units is very impressive!! Getting started is the hardest part! It is true that there are an incredible number of ways that you can be a real estate investor (flip, buy and hold, turnkey, wholesale + rehab, multi-unit and live in 1, etc) but I think that can be overwhelming to the first time investor. I recommend they just get started with a turnkey property like you and I did, learn a lot, then decide how they want to expand. Going turnkey is something that I would always recommend especially because it has worked out so well for me so far and I wouldnt say its just for beginners. Some people just dont have the time to do anything other then turnkey which makes it a great fit for those people! Great tips Brian. Thanks man. My husband and I have been thinking about investing in some real estate and I think that you are right that we shouldn’t start big. I think that it would be best for us to get a duplex house so that we can learn what it’s like to work with multiple tenants. I also think that that would probably be the most profitable for starting out as it would be two houses on one property. How’s everything for you anyway man? I’ve got 1 Investment property or rental as you guys call them & definitely planning on getting more soon! Hey Jef!! Definitely a marathon although somtimes I wish it was a sprint! 😉 So i could retire early faster! Everything is great on my end. I am finally settled into my new home and have begun searching for my next rental property. Its exciting! Plus Im finally going on my honeymoon here in a few days which is awesome. Thanks for asking. Real estate is not something to do spontaneously. Investing in real estate is a deep rooted interest to take control of your money related future not a get-rich fast plan. As a speculator you will battle. You will commit errors. You will come up short. The effective financial specialists are the ones who can take those encounters and transform them into lessons to enhance their aptitudes. I completely agree with you Wong, I appreciate the comments. Speculation can break you although it has worked out really well for many people. I personally go for the cash flow and do not speculate on appreciation gains but deep down inside, I want the best of both worlds. Great tips for beginners! I think as of right now REITs are my best bet because I don’t have the capital to put a 20% down payment on a house right now. Low cost with a high dividend yield payout, which is what I love. Thanks FS!! That is super cool you are investing in REITs right now. Its a lot less headache also. 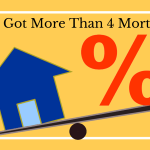 Its not easy coming up with 20% down payment money. So important to keep your emotions in check. These are some of the longest-term investments available. A year of change should not shake you. My husband and I are thinking about investing in some real estate. Starting small is great advice so that you can decide if you like it or not. I would also suggest getting a real estate agent to help you find property. We’re looking into diversifying into RE as well. We want to buy and hold (rent) like you do but need to find the right market for that. Still researching, I guess. We almost got a turnkey in Memphis but we probably need more time to learn about various markets in the US before making the plunge. I really like Indy and KC for investing. My last 4 purchases have been there and I actually just moved to Indy so that I can buy more properties and get better deals. How can I research landlord laws in other states? 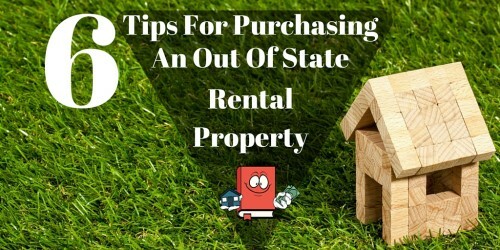 How do I know which states favor renters and not landlords? Hi Kelly! The only two ways I know how is to go on biggerpockets and research it there or google it. Most likely you will find your answers on biggerpockets.com. Its a great resource. One should not let their money sleep in the bank, at some point we should learn how our money will work for us. 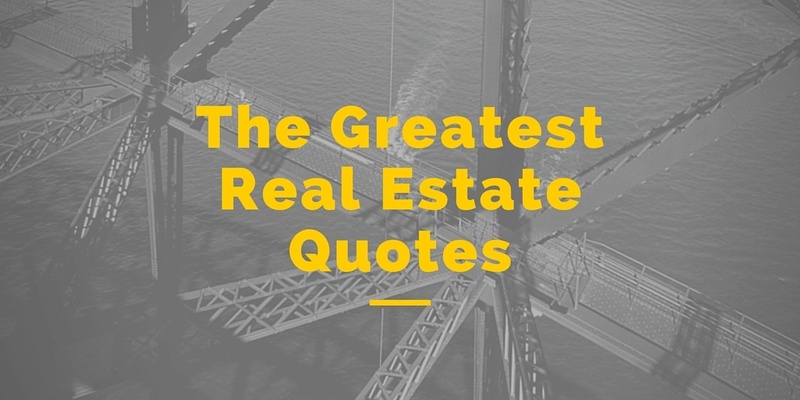 Real estate is a good investment as it usually appreciates but it can really be scary. Thanks for providing us some key points on how to start! My husband wants to invest in real estate. Thanks for the advice about how you should learn about the different real estate investments. It would also be smart to invest in real estate that is within your budget. Hi Sarah!! Oh yeah, investing in only what you can afford is a GREAT TIP!! Thanks for mentioning that. A lot of investors get carried away or let emotions take over on a particular property which could lead to a bad investment that you cant afford or doesnt even make you any money. Your warnings are well founded. The ability to keep your emotions in check, start within your own means (aka, small for many), and do your research are important traits in real estate investing and other types. Great tips, considering I’m thinking of dabbing into real estate investing myself these days. Awesome advice! Getting into real estate can be a huge undertaking but it really can have high dividends. Thanks for sharing! Thank you for these helpful real estate investing tips. Actually, I am so much interested in investing in real estate but have no idea. After reading your post, I get inspired. Thank you. Extraordinary tips for novices! I consider as right now REITs are my most logical option since I don’t have the money to put a 20% initial installment on a house at this moment. Minimal effort with a high profit yield payout, which is the thing that I adore. REITs are great for when you dont have the down payment. I have yet to find any REITs with high profit yield though. Great article! Do your research as there are many different real estate investments. Also, starting small is a great way to reduce your risk and learn the ropes. These are so useful tips for people.And I feel like that’s such a good way to invest your money. The land won’t depreciate, but only appreciate as time goes on. No doubt investing in real estate could multiply your money with surety. Thus real estate investment is better area to put your money on, yeah all you need is to be smart and know where you are putting your money. Thanks for sharing great tips, Real estate is attractive when compared to more traditional sources of income return. As a real estate expert I prefer to invest in real estate. Thank you so much for sharing this informative post.Getting good returns on your real estate investments is a lot easier when you stick to one type of investment and learn as much as you can about it. Foreclosures, commercial real estate, apartment buildings and just about any other type of real estate can be profitable, but it can take years to learn how to turn a serious profit with minimal risk. If you keep jumping around from one area to another, you may never reach the level of expertise you need.Once again thank you so much. Keep Sharing! These are great tips for real estate investing tips for beginners! And I like your advice about having a exit strategy, because we don’t know the future and the real estate market could go south at any time! Thanks for sharing! I like the “1% rule” of real estate investing too. Try to find a property that will rent for 1% (each month) of the purchase price. So a $200k property renting for $2k/month. These deals aren’t easy to find, but they’re pretty good cash flow opportunities! Thanks for the tip about starting small when investing in real estate. My husband and I have rented for a long time, but we are ready to buy our first house. I like your idea of starting with a house or a condo. If the process is something we enjoy, then maybe we can buy another property to try and make a profit off of. It seems like an enjoyable way to invest money if you have the time to make sure you do it right. I really liked the point where you mentioned about real estate exit strategy. 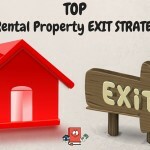 Familiarizing yourself with each individual real estate exit strategy can save your business thousands of dollars, if not millions over an entire career. Thanks for the read! Loved what you said..Nice Read! As a Beginner, Connect with Local Investors. I would say that in real estate you make a profit when you buy and collect it when you sell. (that that we say in my region (France)). Thank you so much for these tips. i am very much intrested to invest in realestate but we don’t know the future and the real estate market. thanks for help!! One of the best reasons to hire a real estate agent is that the sellers are likely to use their own agent and you want to keep that agent from taking over the process. In fact, the seller’s agent may pressure you to let him or her represent both of you, in a “dual agency” relationship that primarily benefits the seller. Great article man. 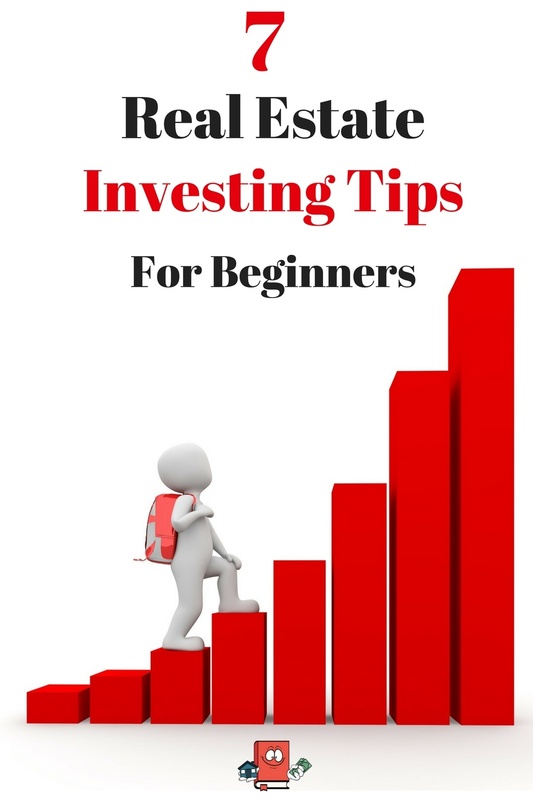 Really helpful for beginners in real estate investing. The best advice for someone investing in real estate would be to ensure that its in a good location. Location is the most important aspect of investing in real estate. The location of your house affects the overall value in long term and plays a huge role in enhancing the worth of your property.